A student-centered service project for collecting blankets for distribution to community organizations. 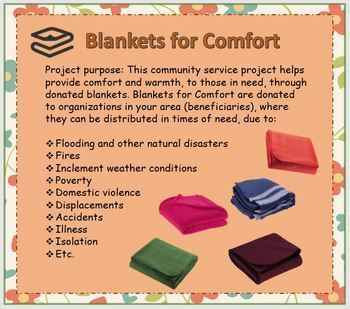 Project purpose: This community service project helps provide comfort and warmth, to those in need, through donated blankets. 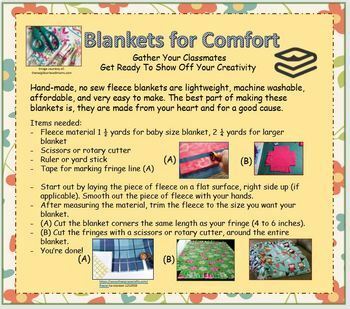 This free resource includes a list of ideas for beneficiaries, ways to successfully advertise your fundraiser campaign, and simple instructions for easy to make, no-sew flannel blankets. Thank you for reaching out to show kindness and help others.